What does it mean to lose your roots--within your culture, within your family--and what happens when you find them? 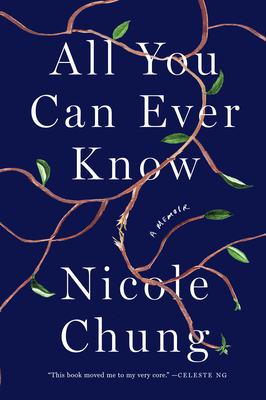 With warmth, candor, and startling insight, Nicole Chung tells of her search for the people who gave her up, which coincided with the birth of her own child. All You Can Ever Know is a profound, moving chronicle of surprising connections and the repercussions of unearthing painful family secrets--vital reading for anyone who has ever struggled to figure out where they belong. Nicole Chung has written for The New York Times, GQ, Longreads, BuzzFeed, Hazlitt, and Shondaland, among other publications. She is Catapult magazine's editor in chief and the former managing editor of The Toast. All You Can Ever Know is her first book. Foll ow her on Twitter at @nicole_soojung.